Coconut oil has been given a bad reputation in the past because it contains 90% saturated fat. 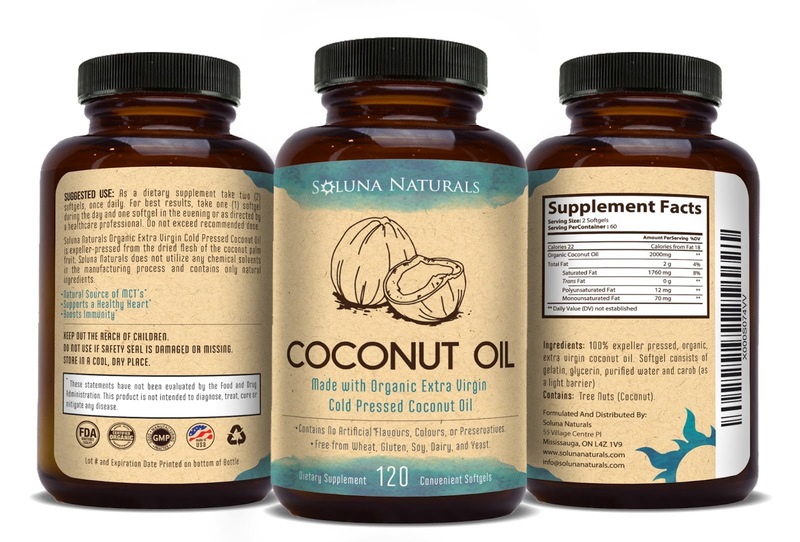 Most of the fatty acids in human diet are long-chain, but the medium-chain fatty acids in coconut oil are metabolized differently and much more efficiently, becoming available immediately as energy as well as offering additional health benefits including a boosted immune system, improved digestion, enhanced brain function, and stronger hair, skin, and nails. Our bodies rapidly metabolizes Medium Chain Triglycerides in the liver immediately, opposed to having to go through the lymphatic system, converting this into energy as fuel for muscle function or turned into ketone bodies as fuel for the brain. Because MCT's are burned so quickly and efficiently, it is very difficult for your body to store it as fat. The medium chain triglycerides or medium chain fatty acids (MCFAs) allow the body to quickly convert coconut oil into energy. Coconut oil is used as a healthy way to boost energy levels when a pick-me-up is needed. Many athletes also use coconut oil to improve performance and endurance. oil is digested by enzymes, it also forms a monoglyceride called Monolaurin. Lauric Acid and Monolaurin have both been found to kill harmful pathogens like bacteria, viruses and fungi in the body resulting in a stronger immune system. I absolutely love coconut oil. It does so many wonderful things for my body! The biggest difference I notice when taking coconut oil is how faster my hair and nails grow. My nails are always breaking because I use my hands a lot with my job. Since I started taking 2 capsules of the Soluna Naturals Organic Coconut Oil a day, my nails have done a complete 360! My nails are longer, and very stronger. They look so much healthier. My hair is the same. It is growing so much faster, stronger and shiner. Coconut Oil for me is definitely a holy grail product! I absolutely love this stuff!